Stay at the Quality Inn and Suites near International Drive with free shuttle service to Universal and Disney attractions. Stay in a lovelly 3 bedroom villa on arrival within a 30 minutes drive of Disney, all our 3 bedroom villas come with their own pool. The Avanti Resort Orlando is a fully renovated Orlando Hotel on International Drive, large pool area and large berooms make this a fantastic family hotel holiday. March Holidays to Florida in 2018 are quiet up until the 20th of the month and then the Easter travel period begins. Great time to go as the 2 weeks holiday allows you not to take the kids out of school, the only down side to this is the airlines are getting wiser to these dates and charging more for peak Saturday departures. 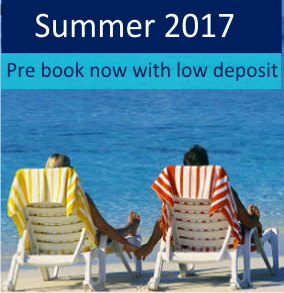 Booking your March 2018 Florida holiday is easy due to us using all major airline carriers with very competitive car hire and accommodation rates. 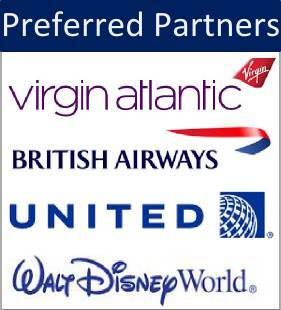 Packages to Florida in March are available with US Airways, United Airlines, American Airlines ,Delta Airlines with limited availability on British Airways and Virgin Atlantic. The Calabay Parc Villas is a 5-star luxurious community that you should consider staying at when you plan your trip to Orlando Florida in March. It contains vacation homes that are 3 to 5 bedrooms, and with professional landscaping in the front. All the villas are within beautiful gardens that are constantly maintained by the community staff. Some of the other perks include a heated swimming pool, screened pool deck, air conditioning, luxury bathrooms, walk-in closets, gaming room, fitness equipment, home cinema, hot tub, in-ground spa and a whole lot more. 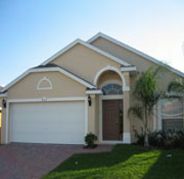 Best of all, Calabay Parc is within minutes of Universal Studios, Walt Disney World and Sea World. March is a very popular month at Disney World because of Spring Break. Millions of college students travel to Florida to party and have a good time. Besides the beach, you can be sure that all these student tourists will be spending time at Disney World to witness the special spring attractions. On March 17th, St. Patrick’s Day, you will see live entertainment all throughout downtown Disney and at the Raglan Road restaurant, which is an Irish Pub filled with live dancers and music. At the end of the month, the Spring Break crowds will start pouring in. On the upside, Disney offers admission discounts during Spring Break along with additional entertainment in Magic Kingdom. Even though Easter is traditionally celebrated in April, the beginning of the Easter holidays in the United Kingdom really starts near the end of March. This is when Good Friday typically comes around in the UK, which means holiday discounts on airfare and travel packages. Plus, it is the perfect time to take advantage of Spring Break deals that are offered by many Florida attractions such as Universal Studios and Disney World. So whether you celebrate Easter in March or take vacations on Spring Break, this is the perfect opportunity for you to come to Florida and see all the beautiful sites that it has to offer. Below we have 2 March 2018 Florida holiday offers that have limited availability. The first one is flying with American Airlines via Miami from London Heathrow with good connections, staying in a 3 bedroom Disney villa on arrival. Also included is a 4 door intermediate car hire for the full duration. Package two is our International Drive hotel offer staying at The Avanti Resort The elegant, contemporary style of this hotel is ideal for those that wish to spend a little more on the accommodation reviews here. You will be flying with Delta Airlines from Manchester with good connections via Atlanta and includes a full size 4 Door with enough luggage for 4 bags.